think he's got more in store for us. The novel is a tragic and a hopeful read, a kind of allegory of family structures in Nigeria, in my opinion. A man who is the bread winner of his family, left his wife alone with their six children and moves to a different city for work. As it is expected, things fall apart. A child is already lots of work for one parent alone, imagine six. Ikenna, the eldest, believes that one of his siblings would kill him because a mad man says so, an incident which unleashes a series of shocking events. If their father were present, he would have been able to instill some sensibility in his children. I am not sure why I did not enjoy this novel as much as I expected. My expectation was so high, I guess it killed the joy. For instance, Chigozie's next book will be published in 2019 "An Orchestra of Minorities" and I am wondering why is it announced in 2017? Situation like this keeps one's expectations high. 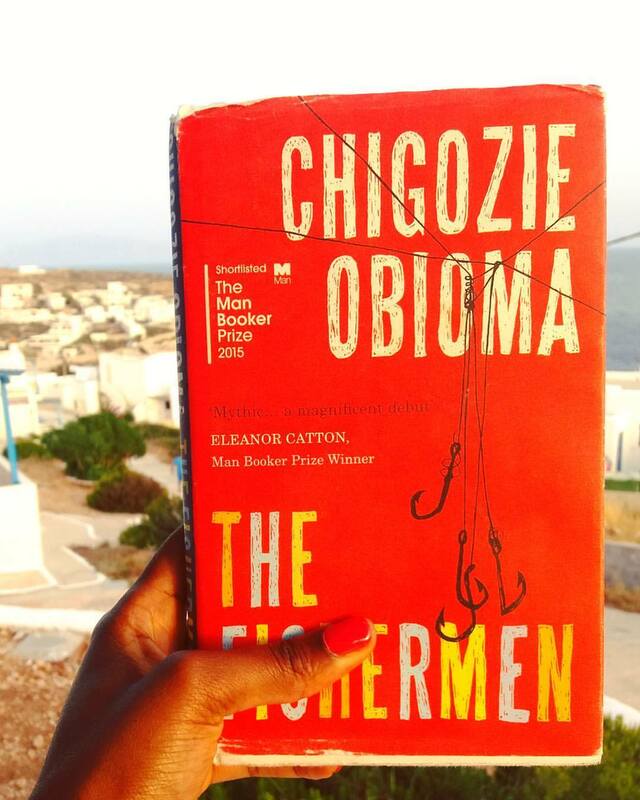 Nevertheless, "The Fishermen" is an interesting novel that I recommend, the author is one I'd like to follow closely. The picture above was taken by me in Donousa, Greek Island. I have two copies of this book, I will be giving one away from my blog. Those who visit often and leave their comments are more likely to win a copy. Remember to follow on Twitter @MaryOkekeReview and on Facebook @MaryOkekeReviews for updates. That is a stunning photo, Mary. I like the shadows. And yes I should love to win a copy of The Fisherman. Your review is intriguing but I wonder why you did not really enjoy it. High expectations? Sure my interest is piqued enough. Afua, thanks. I guess I so much looked forward to it, that I created some sort of "expectations". That's my fault. How are you liking "Ghana must go"?